If you are a fan of the live entertainment within the World Showcase, then you are going to be excited about one of the latest announcements from Disney Parks Blog. We learned today that starting on June 13th, the Blueberry Grass Band will be hitting the stage. They will be on the Mill Stage within the Canada Pavilion in Epcot’s World Showcase. The Blueberry Grass Band is a group coming to us from Quebec who perform a variety of French and English Canadian hits in their own way. 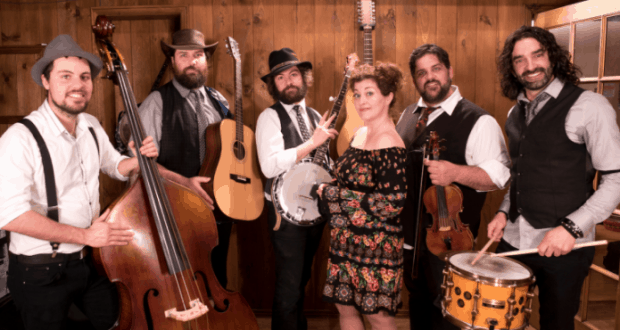 Blueberry Grass Band will appear for a limited time from June 13th through August 26th on the Canada Mill Stage at Epcot, so you will want to make sure to see them while you have the chance. Who out there would love to check out the Blueberry Grass Band?